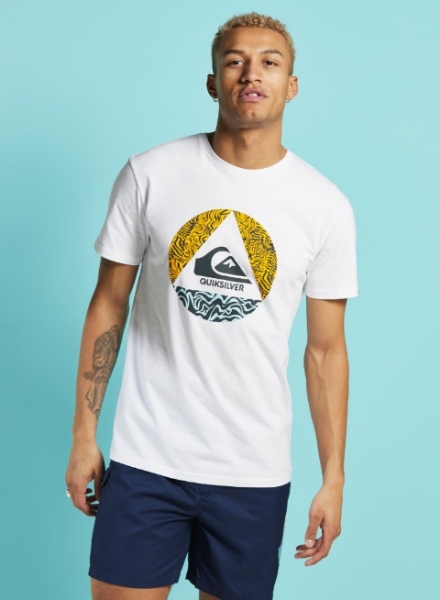 Bringin’ you essential laid back looks on the road to summer, Quiksilver comes to JD to make a statement. Makin’ it easy to refresh your wardrobe for the warm weather and gettin’ you prepped for your hols, the latest collection brings chilled out style that’s beach and sun ready! First arrivin’ on our shores in 1969, Quiksilver was founded by Alan Green and John Law from Torquay, Australia – a notorious surfing hotspot! They wanted to create fresh threads that were authentic and connected with the board riding culture they grew up around. In ’73 they produced Quiksilver’s first product, the ‘boardshorts’. Shorts made specifically for catching and riding the biggest waves possible. The Quiksilver logo has become iconic, and its been their logo from the very start. Takin’ inspo from The Great Wave off Kanagawa, the logo shows a wave rising above a mountain – reinforcing Quiksilver’s love for the deep blue! 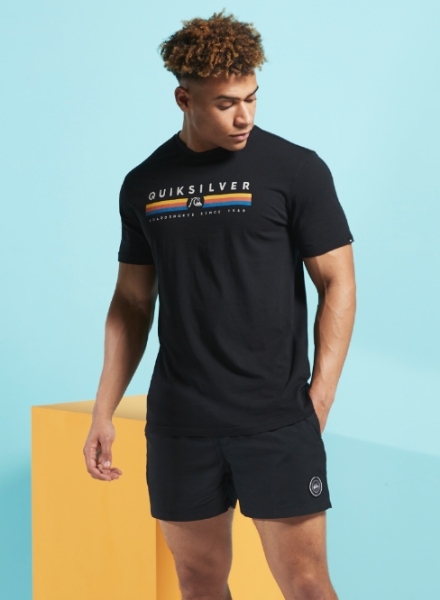 After 50 years of standout style that feels right at home at the beach or by the pool, Quiksilver haven’t missed a beat! Get ready to spend the day poolside or dive into the water with the collection of Everyday Swim Shorts or get some relaxed style with the selection of tees and vests for the complete off-duty look. Check out the full range here and cop your warm weather essentials from Quiksilver.